Philip Efiong’s book on the Biafra -v- Nigeria civil war has been republished. His son Philip Jr alerted me of this. The first edition of the book was published over a decade ago. I have read the book myself and it is a valuable contribution to the civil war literature. Further details about the book are at the links above and you can buy it from Amazon. The Abuja Literary Society will discuss my book Soldiers of Fortune this Friday (February 17) at Salamander Cafe in Abuja. Contact @bagusmutendi or Cassava Republic on Twitter or Facebook for details. If you want to read sample chapters of my book Soldiers of Fortune, you can download a sample chapter or two here. Then you can decide whether to read more, some, or all of the book. For those of you that are e-book fans, you can now buy my book Soldiers of Fortune: a History of Nigeria (1983-1993) and read it on your mobile phone via Okadabooks at the link below. You can read a sample chapter or two, or download the entire book for only $7.54. You can read a review of Soldiers of Fortune here. 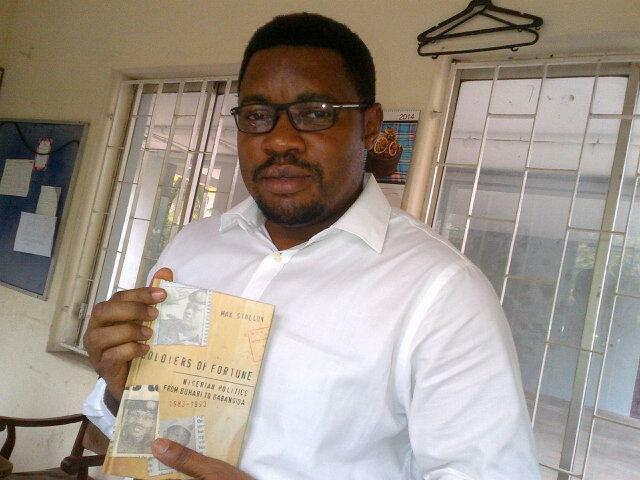 Many readers been posting images of themselves with their copies of my book Soldiers of Fortune. Others also sent in recordings of themselves reading their favourite passages from the book. Here is a selection of photos and readings by Munira Adama and Kingsley Ewetuya. Special thanks to Ewetuya who submitted a photo and audio reading on his wedding day! Essential reading for those who want to understand Buhari 1.0. 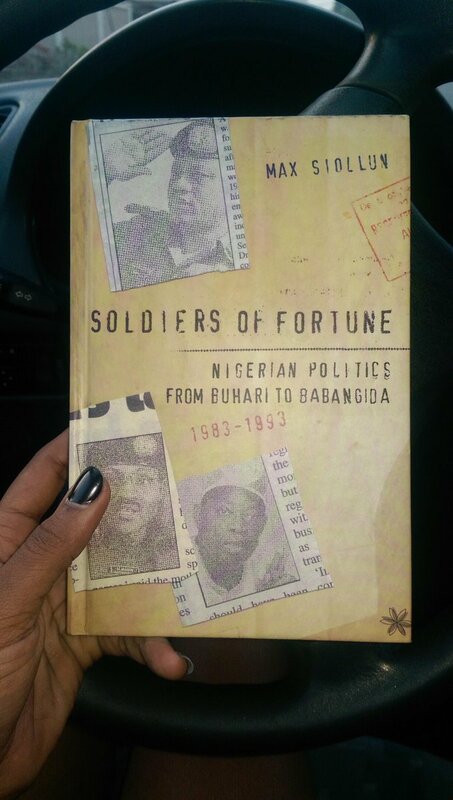 Unilorin FM 89.3 radio station has been doing readings of Max Siollun’s book on the Buhari and Babangida years called “Soldiers of Fortune: Nigeria From Buhari to Babangida (1983-1993)”. They are doing the readings every Monday at 5:30pm Nigeria time. You can listen online at http://www.fm.unilorin.edu.ng or via their Android and Blackberry apps.